Years ago while living in a large, communal recovery house in Dallas, Texas; called "The Reiger House," on Reiger Avenue, I had made arrangements with the owners of the place to have a friend of mine who'd just got back from a walking tour of Europe's heroin usage areas move into my room. Nobody got a room to themselves there - so it's probably best to have a roomate that you already know. Better the devil you know than the devil that you don't. Something like that. The room mate situation wasn't so terrible though - he brought with him an acoustic guitar, a "Jasmine" model by Takamine. I swear to you - I couldn't have been more pleased with my new room mate, the Takamine Jasmine - it's a great guitar to have in such places, and any other place that one will go! 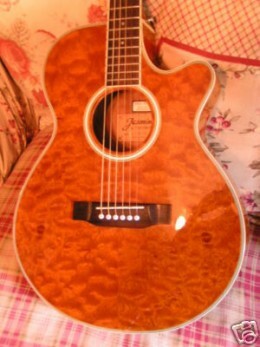 Another Example of a Jasmine, By Takamine. The Jasmine Acoustic Guitar, By Takamine. Let me let you all in on a few differenent secrets here - no conspiracies, just facts; I'm a huge fan of high end, very expensive acoustic guitars. But here is a simple fact for you - you don't need a two thousand dollar guitar to be a good guitarist, have a tremendous amount of fun, or even to learn some very professional level musicianship skills on acoustic guitar. Here's another secret for you - in this day and age I'm all for buying American made products, and you should be too; but there's also something to be said for getting what you want out of the money you spend, and the best deals on great, beginner to intermediate level acoustic guitars are all guitars made in Japan by companies like Takamine, Yamaha, and Alvarez. "HELL NO. My Santa Cruz ain't riding in the back of nobody's pick up truck - it's the most precious thing that I own." All I needed was THIS guitar, the Jasmine by Takamine - if I had had one of these, I'd have travelled to California with a guitar, and played the whole time I was there. I didn't have one. I lost out. I could have spent my days down at the Seaside, California Barnes and Nobel, or Starbucks drinking coffee, playing guitar, and collecting one to twenty dollar bills in my Minne Tonka Fedora hat for tips. It literally could have PAID my way. When I went to beautiful San Francisco, and walked the streets of that magical la la land, I perused many a poor redneck like myself on the street corner collecting money for playing a cheap Japanese guitar just like the Jasmine by Takamine. Those guys all seemed to sneer at me in hindsight, as they pocketed MY cash. Are you interested in finding out if you have any talent for playing guitar, but don't want to spend a lot of money on something that you might not get into, but you don't want to not have a legitimate guitar? The Jasmine by Takamine is for YOU. Are you thinking about buying a guitar for a child that may or may not take to being a serious student of the instrument, or of music - but you don't want to buy him or her something that isn't any good? The Jasmine by Takamine is for YOU. Are you a real guitarist, and need a real guitar that you aren't afraid of getting scratched up down at the deer lease, but your deer hunting buddies demand that you bring a guitar? The Jasmine by Takamine is for YOU. Are you a traveler heading off on a journey, and you don't know when you'll return, or if you'll return at all - and you don't want to risk the family heirloom guitar on such a fateful and unpredictable journey? The Jasmine by Takamine is for you? Do you just need a campfire guitar to sing Kumb ba Ya My Lord for the kid - owe's? 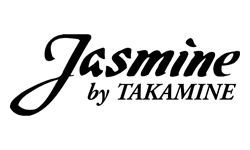 Jasmine by Takamine is for YOU. 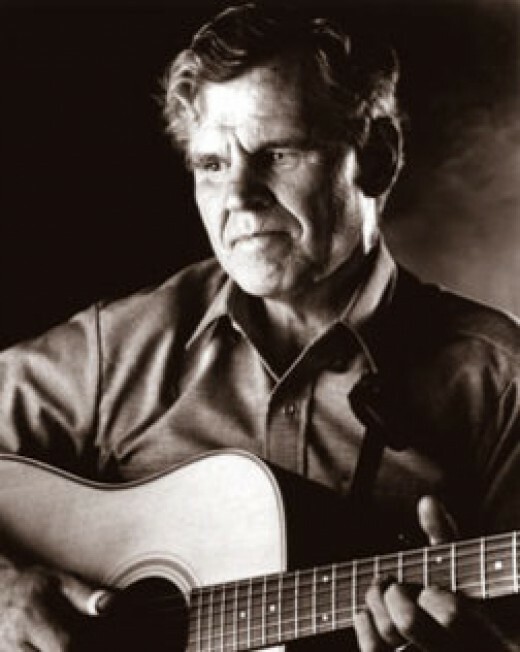 Doc Watson - Folk, Blues, Bluegrass; and musical integrity. Doc Watson and Musical Integrity. When I think about America today I'm overcome with sadness for everything that has been lost. People have lost most of the values that made the nation strong - they've mostly all fallen prey to massive amounts of propaganda at the hands of some trillionaires and the completely corrupt mass media cartel of criminals that monopolize all of it. Divide and conquer. Divided houses will not stand. But when I think of persons still living that have made a difference - persons of integrity, I then think of people like Noam Chomsky, Ron Paul, and the musical legend - Doc Watson. Just what is it, young man, that makes you think that Mr. Arthel Lane "Doc" Watson such a man of what you call "integrity?" Gosh, there couldn't possibly be an easier question for me to answer! Look at what is passed off as "music" by today's media! You have to be young and very pretty to get any attention - AS IF someone's physical level of attraction ever had anything to do with music or musicianship! I almost vomit every time I turn on the radio - have you ever actually heard top 40 "music" for what it is? It's a bunch of sensationalist garbage that someone other than the singer nearly always wrote, the singer must first be a model - and the content of the lyrics is entirely based in sensationalist materialism or lasciviousness that is altogether useless, and mostly forgotten after only a year's time! The "music" is created by someone other than the singer - who didn't even write the lyrics, and is only a model - and typically doesn't involve any actual musical instruments, but rather, samples and electronic noise tracks created by machines. What would these "musicians" do without their means of amplification, their professional song writers? Would they even be attractive to the legions of media zombies without their tailors, their make up artist, their hair stylist, and the professional photographers? I think not! Doc Watson is the opposite of every single bit of corruption and lack of talent or integrity found in Rupert Murdoch music land. Doc was born dirt poor in Deep Gap, North Carolina - and became blind before his first birthday due to an eye disease - the peculiar squint of Doc Watson, the fact that he requires no sort of electronics or electricity to perform, and that he was never even truly a professional musician until he was forty years of age show you just where we are as a nation, and where mass media has taken us. Today's fake musicians who are only models representing the gods of consumerism, materialism, and abiding by the ethos of Live Fast and Leave a Pretty Corpse - that's the best they can hope for. Doc Watson, however, is in his 90's now, and has legions of admirers that actually do love him, and care for him. Very different indeed! Doc Watson - Little Orphan Girl - Lyrics. At the door of a rich man's home. And leaned on the polished wall. And the snowflakes covered her head. "Please give me a little bread." "No room, no bread for the poor." Where he and his family were fed. As she cried for a piece of bread. And murmured, "So cold, so cold." And the drifting snow still fell. Still lay at the rich man's door. Where there's room and there's bread for the poor. 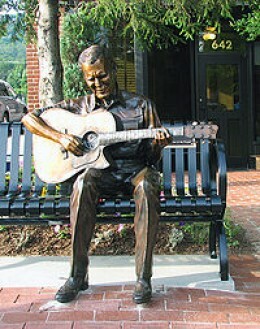 Doc Watson - Guitar Virtuoso. I remember years ago my uncle Tom, my Grandmother, and I took a trip to Winston Salem, North Carolina. I truly felt there as though I were in the region where the type of music that I enjoy playing and was brought up playing was truly known and appreciated. 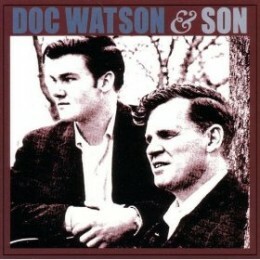 I picked up Doc Watson's album Then and Now, and a few others. On the long drive back to Texas my Grandmother even joined me in singing along to Corina Corina! I'm positive that not many people these days sing songs with their Grandmothers. I suspect that the lyrics of T.I. and "lady" gag uh are not sufficiently trans generational, and that is because they are only garbage, and will burn like so much chaff in the end. But Doc Watson has been an American Musical Legend since the 60's Folk Music Revival, and he'd only spent the first 40 years of his life cutting his teeth in preparation for that. 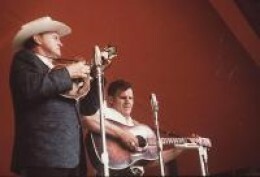 The man toured the United States and the world for decades after the Folk Revival stardom came and went, and he even did so with his son, Merle Watson, at his side. Merle, a wonderful musician in his own right, died doing honest work on a tractor on the Watson family farm - but the Watson musical legacy never died. Doc lives on, and has recorded with his grandson, Richard Watson - a guitarist after his father, and his grandfather's hearts. There is much to be said for the abilities and the aptitudes of a blind man determined to feed his family that once made a living tuning pianosby ear. How many strings are there on a piano to tune, heck, I don't know - but when you've such an acute sense of sound as that, then a mere six strings is going to be somewhat less challenging for you. The music of Doc Watson is as vast and varied as his talent. While he brought the term flatpicking to the forefront of Americana almost single handed; he'd also brought his harmonica playing, fingerpicking, and country blues to the masses of white Americans who'd never heard the black musicians years before persons like Eric Clapton, and bands like Fleetwood Mac ever were heard. Doc Watson is Folk, Doc Watson isBluegrass, Doc Watson is Country, and Doc Watson plays the blues. While tunes such as Windy and Warm will forever be fingerpicked country blues standards, the lightening fast fiddle tunes such asBlack Mountain Rag will forever be what legions of country boys like myself have the most appreciation for. We all want to play that one at some point or another - and we flatpickers can not help this - all the while we know that we can't really every make that tune ours. Doc Watson wouldn't have you believe that the song is his, but we insist that it is his, and will never belong to anyone else - EVER. Doc Watson - Black Mountain Rag! Folk Archivist Ralph Rinzler on Doc Watson. Doc Watson - Playing Guitar. "Bill, the good Lord made my hands for more things than picking a guitar." "I'll tell you, I was exposed to quite a bit of black music, because mountain folk sat kind of in the middle of the road on that. My dad taught us to respect a man because he was a man." Sure, that isn't so strange nowadays - but you must realize that Watson is in his 90's now, and that playing black country blues in what was surely near all white audiences in the 1960's -was a pretty big deal! "It took a lot of hard work, but I had a knack for memorizing certain phrasings and sounds. I'd learn the tunes and words to songs off of old 78 records my family would play, from the time I was a very little boy." In this text capsule my source for the Doc Watson quotes is the Spring 1990 GuitarEXTRA! magazine, and the interviewer was Gordon Ely. For anyone interested in my opinion of what is the finest recordings featuring Doc Watson - then I encourage them to purchase the first and original Will The Circle Be Unbroken album by the Nitty Gritty Dirt Band. The Gallagher Guitar that Doc used for that album, by the way, "Old Hoss," can now be found in the Country Music Hall Of Fame. But Doc Watson is a pure entertainer - and the video below is the best thing I can find that exposes all of his many skills in the best possible way - save only that I haven't found one of Doc Watson and his harmonica work. Enjoy! David Bromberg is the kind of guy that whether you've heard of him or not, it doesn't matter, the chances are extremely high that you've at some point or another heard him. Though his very name is a big name for those who are into folk music, bluegrass, blues, or virtually any musical form employing an acoustic guitar - it's the sheer volume of recordings that David has appeared on that guarantee that one has very likely heard his playing at some point in time. You see, Bromberg's chameleon ability, his ability to represent most any style of music not just passably, but WELL has allowed him to play with virtually anyone, and on a great many studio albums as a sessions guitarist. He's also performed live with many a big name musician from the 60's and 70's. The song Mr. Bogangles is especially well known. The song was written by Jerry Jeff Walker, and featured David Bromberg on acoustic flatpicked guitar in it's original recording. The song about a drunkard from my own home town, Kaufman, Texas; and his chance meeting in a jail cell in New Orleans with the author of the tune - Jerry Jeff Walker, is a favorite of a great many persons. 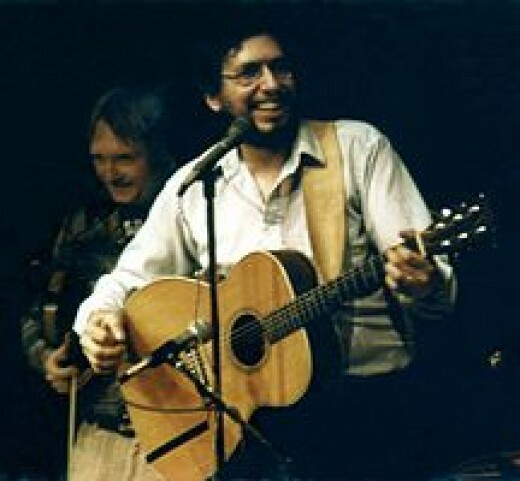 Count David Bromberg in as one of the song's biggest fans, he does a splendid version of it himself. Mr. Bojangles, By David Bromberg. "I HAVE BEEN CALLED FOR INFORMATION on American violins by nearly every shop in the world. I have the collection and I guess I became the default expert," says violin dealer David Bromberg. You mean, that David Bromberg? Now, if you didn't listen to Bromberg's Mr. Bojangles, then you just completely missed out on virtually everything that this article is about. It's easy for those who did listen to that, and I apologize that it's not much of a video, but rather, a sound track - to be amazed at how engaging a storyteller the man is. He might not be the world's greatest vocalist, but damn if he might not just be one of the world's finest story teller's who sets his stories to music! Also, the guitar solo at the very end of the thing - was so lyrical as to sound like someone singing, and he probably did that off the cuff, improvised over the chords. Though it wasn't technically sophisticated...music is about music! Now, if you've surmised that David Bromberg is an American of Jewish descent who grew up in or around New York City - gosh, aren't you bright? Well, that much might have been fairly obvious, but what is totally un assumable is that Bromberg the guitarist, is probably the world's leading authority on American Made Violins. Not only does he have one of the most valued collections, but he's also studied their construction, and their history to the extent of being called upon the world over for opinions, advice, or details concerning violins made in the USA. Yes of course David plays the fiddle or violin, he only owns the world's single largest collection of American Made Violins or "fiddles." No, I've never heard him play the fiddle, but he's officially a fiddle dealer, as well as a guitarist, performer, and storyteller. The man is a modern BARD that multi tasks a bit. 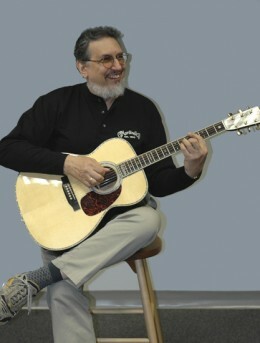 David Bromberg and His Martin M 42 Acoustic Guitar. So anyways, anyone can go meet David Bromberg - but I suggest that you be a customer or serious shopper when going inside the violin shop of the world's foremost authority on American made violins. But he might be such a nice guy that he doesn't mind people walking in just to say that they've met him. "Sir, I've always appreciated your music." One of the things that Bromberg has always considered a point of pride, and this is unique, is that he's said to have never allowed himself to be topped by a heckler. Now, I don't know what kind of person pays to see a show just to heckle someone - but Bromberg has probably played a lot of shows in his life, and probably a lot of them were either free, or shows in which he or whoever he played with were not the headline act. Truly, the man has a presence. Bromberg, of course, is primarily a guitarist, and primarily plays the Martin acoustic guitar that was designed for him, The Martin M 42 - and no the "M" doesn't stand for Martin, but rather the size and shape of the instrument. The first video here features Bromberg doing some beautiful and lyrical traditional bluegrass type picking, and the second video features the pure hilarity showmanship of Bromberg and some blues guitar playing. He also fingerpicks very well, and as I close out what I hope to have been a nice enough introduction to a musician that you maybe hadn't heard of, it should behoove me to include some Bromberg fingerstyle guitar playing. David Bromberg on African American Churches and Playing Fingerstyle Blues.